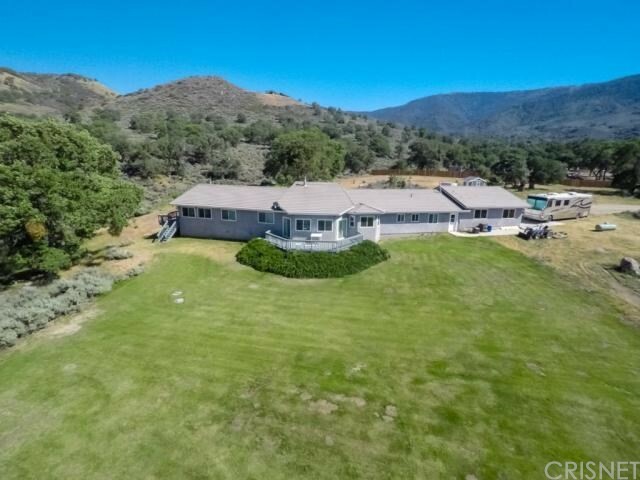 All Tehachapi homes currently listed for sale in Tehachapi as of 04/18/2019 are shown below. You can change the search criteria at any time by pressing the 'Change Search' button below. 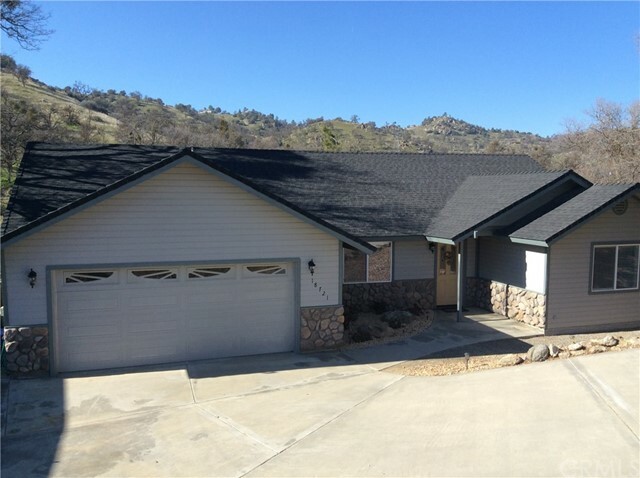 If you have any questions or you would like more information about any Tehachapi homes for sale or other Tehachapi real estate, please contact us and one of our knowledgeable Tehachapi REALTORS® would be pleased to assist you. "Fabulous Mountain Retreat. 640 Acres of wooded terrain with two man made lakes filled with Trout. 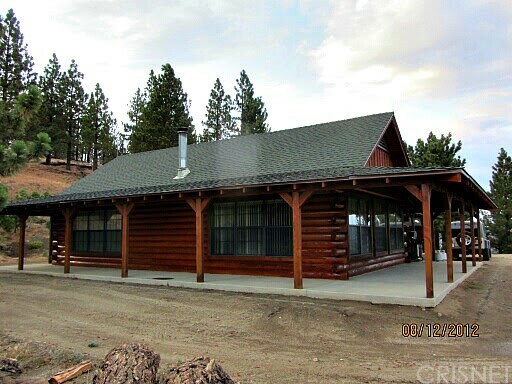 Log cabin has 4 bedrooms and 2 baths, spacious kitchen, bar, room for pool table and lots of fun activities. Large gun safe, wooded interior, central heat and air. 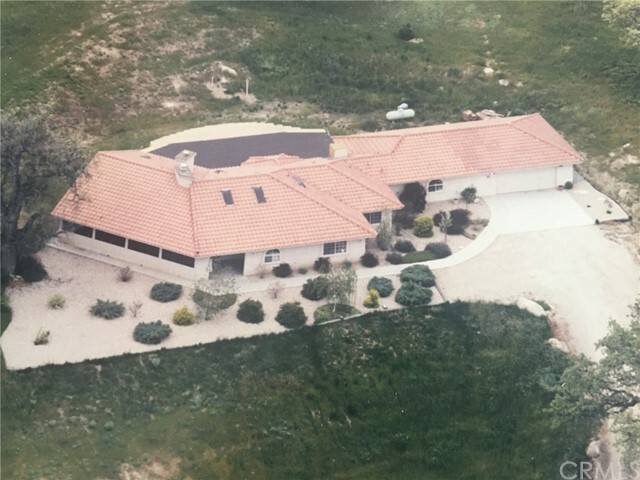 Adjacent 80 Acre parcel also included with property"
"Large 3,144 sq ft Home plus 1,270 sq ft Guest House located on a spacious 2.57 acre lot in Oak Knolls. 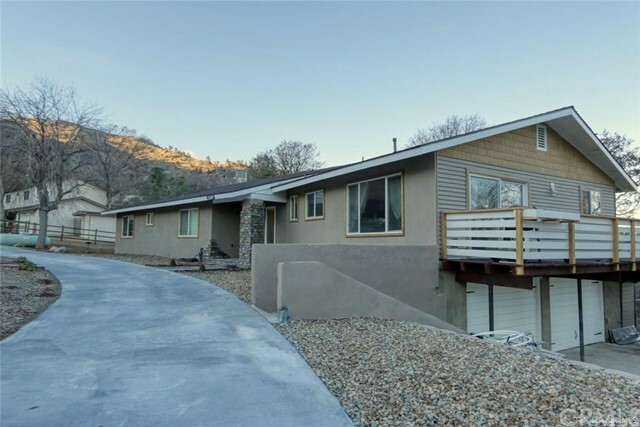 The Main Home features 4 bedrooms 3.75 baths with high vaulted ceilings and mountain views all around. The master bedroom and 2nd bedroom are conveniently located on the first floor with easy access out to the wrap around covered porch. There is also a well equipped kitchen and laundry room. The Guest House is located on top of the 4 car garage and features a large studio apartment with full kitchen, bathroom and laundry area below. Outside the 2.57 acre property features plenty of flat usable land perfect for ranching and gardening. RV parking, seasonal pond, hot-tub jacuzzi and beautiful shade trees." "Ranch home with beautiful mountain views* 2 bedroom * 2 bath* the entire house was remodeled in 2014 *stunning kitchen with granite counter tops, custom cabinets & stainless steel appliances *hardwood flooring throughout *recessed lighting *new windows with expensive shutters *ceiling fans *living room with wood stove and double doors leading to large wrap-around covered porch *Large master bedroom *master bath has dual sinks, freestanding bathtub and separate shower *laundry room with extra cabinets *20 plus acre lot features large livestock arena *cattle loading chute *round pen for riding or lunging horses *huge hay storage structure with attached feed & tack room *large turn out pastures *also separate pen with covered barn *2 wells (private & ag well) *newer roof *it's so quiet and peaceful here. Perfect place to raise cattle and kids!" 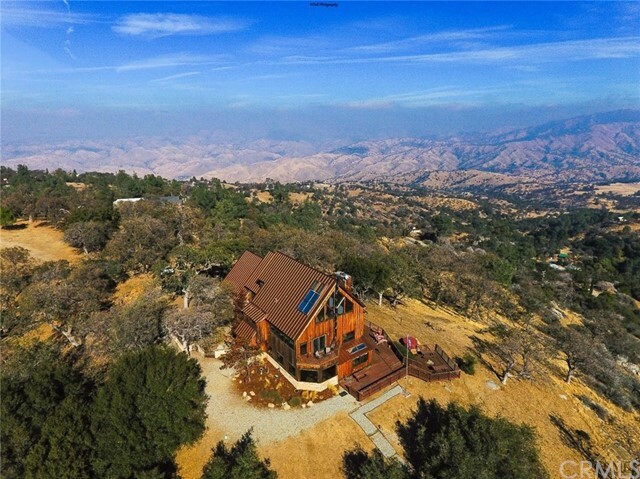 "This 19+acre parcel & home offer exceptional views of Cummings Valley & Mtns from every angle. Step down into the dining room w/open beamed vaulted ceilings, tile floors & woodstove on river rock hearth. See the inviting great room with pellet stove, & wet bar. Notice generous use of custom cabinetry & crown molding w/matching door & baseboard trim thru out. Amenities include remote controlled Hunter ceiling fans, pull out shelves in kitchen, pantry & bar, & bonus storage room filled w/cabinets. 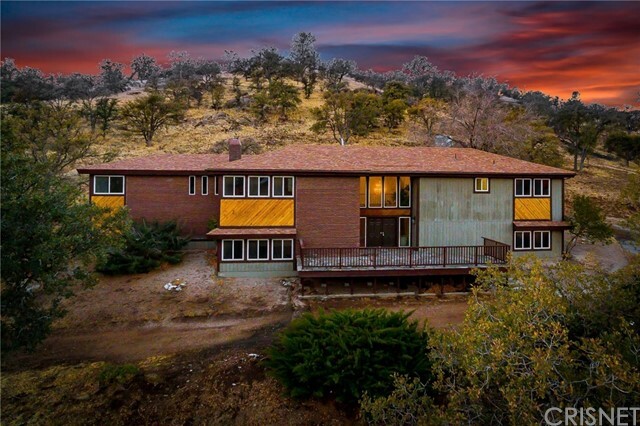 The master has its own wood stove on river rock hearth, an immense CA walk in closet, grand 3'X6' master bath tub/shower w/dual shower heads & u can enjoy the view from the two ample rear decks. Appliances: dishwasher, compactor, Thermador oven w/warming drawer & microwave, water softener." "Huge Price Drop! This approximately 3901 sq. ft per most recent appraisal. Crown Jewel of West Golden Hills captures the three (3) most important points in buying a home. Location, location and location. On a quiet cul-de-sac tucked into the majestic oak trees and rock formations with breathtaking views and nature at your living room window, this is a must see home. Also boasts waterfalls, ponds, fountains and has irrigation throughout the property. The pond has both fish and crawdads and draws in the local deer, foxes and occasional bobcat.There is just too much to list about the privacy and solitude this house brings.Inside the house it is freshly painted and has new carpet in living room and new wood plank tile in the entry, dining room, kitchen, hallway and one (1) bathroom. Fireplace has beautiful stonework and large custom mantle with recessed lighting in it.Kitchen has all of the newest Samsung black stainless steel appliances including an induction stove top w"
"B E A U T I F U L... Stunning country home set on 20.3 acres with breath taking views of the hills. This amazing home was recently remodeled with the finest quality craftsmanship . Great care and detail was considered in every aspect of the finish of this home. Open floor plan and spacious rooms abound. The 5000 square foot home includes many fabulous features such as new windows, new appliances, new roof, hardwood floors and unique tile work. A large master bedroom complete with private bath and closet. Large bedrooms, reading room, office and much more. The lavish grounds have beautiful Oaks, and much flat space for many activities." 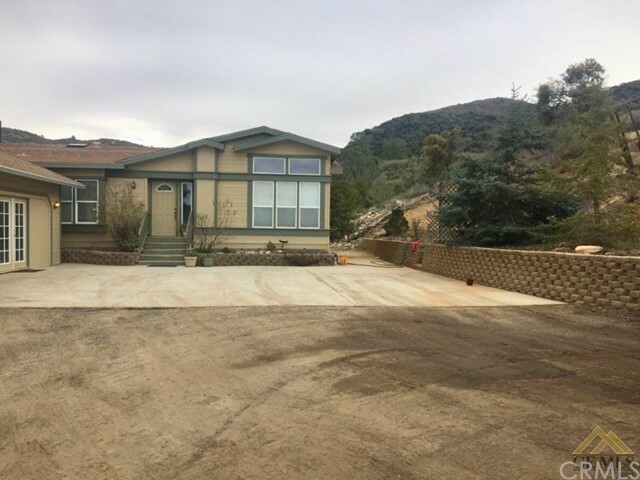 "Perfect spot for mountain living, with three bedrooms, large living room, and a bonus room offering tons of options for fun in this very bright home. The home features a split floorplan, with the master suite seperated from the other two bedrooms by the colossal living room. The master suite includes a fireplace, walk in closet, and an abundance of space. The two other bedrooms share a bath and both have wonderful natural light. The living area features a rock-faced fireplace and a wood pellet stove, as well as a wet bar and opens to the dining room and kitchen. The kitchen is functional and spacious, with room for both a refrigerator and full-sized freezer. The built-in microwave/convection oven sits above the oven. The kitchen island includes a built-in cooktop, and there is a great eat-at bar between the kitchen and dining room. Plenty of room in the kitchen for a separate kitchen table or desk. The bonus room is enormous, with built-in storage, bookcases, and working areas. You could easily put a pool table, a host of exercise equipment, or anything else you can think of in this wonderful space. The two-car garage also has lots of storage room and a working area. The laundry room double as an extra half bath for convenience and accessibility to the bonus room. The home is connected to utilities for water, power and high speed internet. It has a septic for sewer and a large propane tank." "Amazing opportunity to own one of the finest properties in a prestigious mountain retreat! 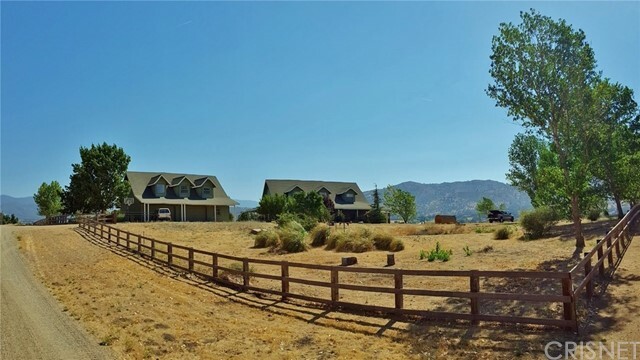 Nestled in the tight knit neighborhood of Hart Flat, this home has a very beautiful 360 view out to the mountains and now it's possible for you to become the next family to make memories here. This masterpiece features a master bedroom suite with a one of a kind loft, two additional over sized bedrooms, and a indoor garden room. The kitchen has been completely updated and has custom rich cabinets, stainless steel appliances, butlers pantry, and an oversized center island. There are two living areas; one larger cozy room perfect for relaxing by the fireplace and the smaller living room which is perfect for entertaining. The exterior features lots of oaks trees all around, shooting range, horse shoe pit area, and a one of a kind view to the the mountains. This is a once in a lifetime opportunity, come and take a look today!" 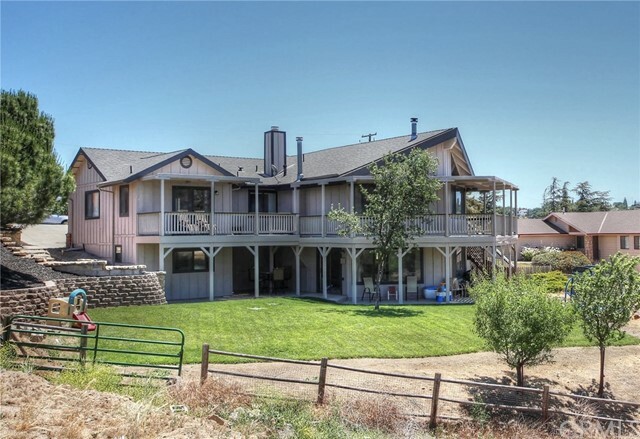 "Nestled in Tehachapi is a Beautiful RETREAT w/ all the amenities of Mountain Living. Take in the Incredible scenery from the comfort of your living room.This 3 bd, 2 bath approx 2407 sq ft gives this home a warm feeling of inner haven and comfort. You will also find on this private road,Hiking Trails, Shooting Range, VIEWS and an Additional pad w/septic ready to build Guest home or Shop. Enjoy the privacy offered by the 20 acres which backs into thousands of acres for COMPLETE PRIVACY and is often roamed by amazing wildlife. Private well offered and ONLY moments to Town.Enjoy the serenity while being close to town! Sellers will pay $5000.00 towards buyers closing cost or price reduction"
"Spectacular lake and mountain views. This beautiful custom home features 4 spacious bedrooms and 4.5 baths, a very large deck that wraps around the entire back of the home, a master bedroom on each level (the master downstairs also makes for a great mancave or 2nd living area), a big kitchen open to the living room, a fireplace, two wood burning stoves, a craft room and a great backyard. Freshly painted exterior. Near Golden Hills Nature Park and hiking trails with Tom Sawyer Lake just a stones throw away." "Hurry this house wont last it has been completely renovated inside and out, with a great location! Large open floor plan featuring 3 bedrooms, 2.5 baths and an office that could easily become a 4th bedroom. Beautiful oak trees and a quiet neighborhood. Houses like this don't come around often." "Come home to Bear Valley! This spacious Farmhouse Chic home on the valley floor offers more than meets the eye. There are 3 bedrooms, 2 full bathrooms plus a den (or office), an additional possible 4th bedroom and a bonus room accessed from Bedroom 3. Gourmet kitchen with newer appliances, granite counters & a lovely view from the garden window over the sink. Laundry room connects the kitchen, garage and backyard and is an ideal mudroom too. You'll appreciate the great floor plan that uses the space most efficiently and means the rooms are large with a minimum of wasted space on hallways.Outside includes several dedicated areas for entertaining. Enjoy the views from the front porch, cozy up on the secluded side porch with a book and your favorite drink to while away an afternoon, or BBQ on the rear patio with plenty of space for dining out. 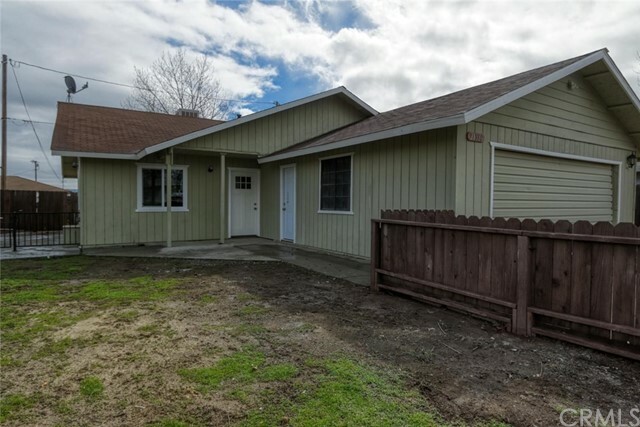 We all know that utility costs on a larger home can be a burden.The Solar lease can be transferred and you'll be glad to be on natural gas"
"Lovely Oak Studded home with mountain views in Stallion Springs! Pride of ownership is obvious in this home. Includes 3-bedrooms, 1.75 baths and a spacious great room with formal dining off the kitchen. Loads of cabinets in the kitchen plus an island. There is a deck out back to enjoy the scenery, wildlife, BBQ or just relax. Beautiful views from the kitchen, great room, master bedroom and deck. A 10' X 12' Tuff Shed at the side sits on a concrete slab. RV parking space and 220 in the garage plus some lovely rock outcroppings on the lot. This is a smoke and animal free property." "Looking for that perfectly located home near all the city amenities? Experience city living with a country feel in this highly desirable Park View Estates home. Everything you desire in a newer mid 2000's 3 bedroom, 2 bath home with an indoor laundry room separating the living area from the attached garage. The spacious kitchen with tons of storage and counter space overlooks the low-maintenance backyard.All appliances are included so this home is virtually move-in ready! Love to entertain? Access the backyard from the sliding doors in the dining room and get plenty of shade with the roll-out awning mounted above them. The oversized garage provides even more storage and plenty of room for parking. Plus, there is a door to the side yard so it's easy to keep the messy outdoor jobs, like planting flowers, out of the main living area. The laundry room has a utility tub that makes clean up a breeze. When it's time to leave home, you'll appreciate the convenient location too!" "Views!! Views!! Views!! This is the the one!! This charming single story home is situated at the end of a cul-de-sac and overlooks the mountains and Golden Valley Nature Park! This home has a nice open floor plan with the dining and living rooms open to the kitchen. The living room, compete with a fireplace, and the kitchen, with an eat in area, both have fantastic views right from inside. There is a split floor plan with the master bedroom on one side of the property and 2 additional bedrooms as well as an office/bonus room on the other side of the property. The master bathroom is quite large and has a walk in closet, 2 showers, storage cabinets and more. There is an indoor laundry room that has ample cabinetry for storage and a sink!! With the peaceful setting of having a nature park in your back yard to being close to city amenities and the freeway, this property has it all!! Come check it out for yourself. You don't want to miss this one!" "Timberline GeoDesic Dome home on 2.79 acre lot with adjoining 2.39 acre lot included in sale. Home is designed to easily add additional space of the same architecture. Entire property is fenced and cross fenced. Beautiful rolling hills below timber line at the end of a cul-d-sac. Gorgeous landscaping include over 100 planted trees, including fruit and almond trees, flower beds, gardens, walking paths, and all landscaping with drip irrigation system. Solar, Wind Turbine with battery back up and generator. Private well. Horse Property with barn, tack room, hay storage, round pen and large corral.3 outbuildings for storage throughout property." "What a view! Quiet & Private. Floor to ceiling stone fireplace. New floors, paint, etc. Small Out buildings for laundry, well pump, generator, etc. Your own well, solar and wind power systems." 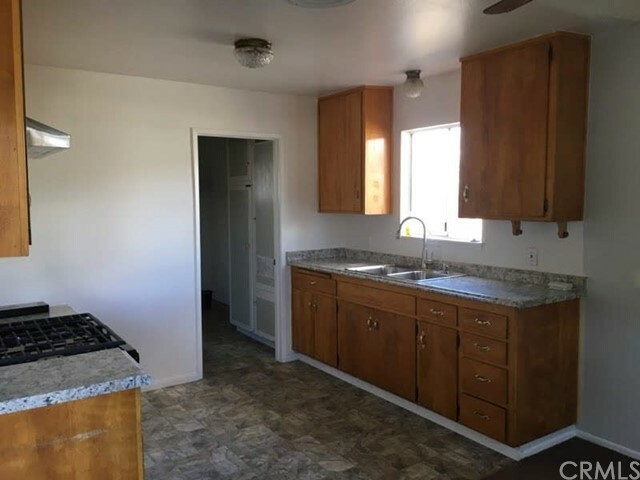 "Newly renovated and ready to move in! It is priced to sell! 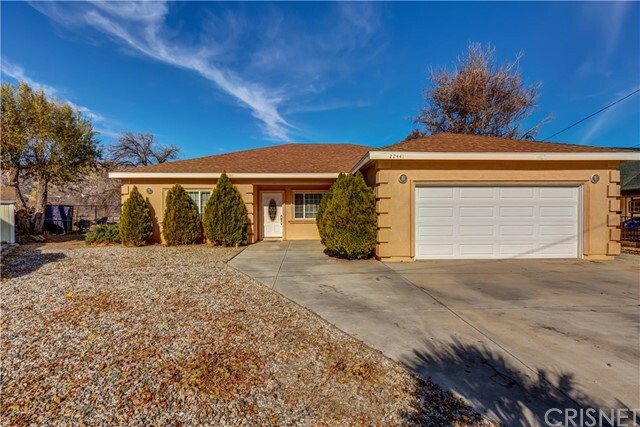 This home offers a 3 bd/ 2 bath and a nice open great room making it feel very inviting"
"This is a Real Charmer - great opportunity for first-time home buyers or investors. Arguably the best valued home in the area. It is centrally located on a great street that is close to shops, schools, restaurants and freeway access. The home has an open concept with the kitchen, living room and dining area. The kitchen and bathrooms have been fully upgraded. The kitchen has NEW - stainless steel appliances - range and hood, a deep high gauge double sink with a contemporary faucet as well as a new 1 1/4 hp garbage disposal. It also has new counter tops and linoleum flooring that extends into the adjoining laundry area. The two baths have been freshly painted and have NEW - vanity cabinets and vanity tops, toilets, mirrored medicine cabinets, nickel faucets, linoleum flooring, GFI plugs, and light fixtures. The tub surround in the full bath is tiled with a new curved shower curtain rod and curtain. The living room and dining area are light and airy with new window treatment and a ceiling fan. The home has both a natural gas forced air furnace and a hot water heater. The house just needs an individual s personal touch to complete it. The garage is an attached double car size with a large side window for natural light and an access door. The front yard is enhanced by several tall trees that provide shade to much of the yard. The rear yard is fully fenced." "This gorgeous mountain-top paradise has been completely updated. The incredible charm and country finishes make this home move-in ready and spectacular. Located at nearly 6,000 feet in beautiful gated Bear Valley Springs. New roof in 2016. Interior remodeled in 2015. Stainless steel polished aluminum backsplash, built-ins, newer custom kitchen cabinets and so much more. Dual-pane Milgard windows and sliders throughout. Wood look tile flooring. Three-day window blinds throughout and solar blinds where appropriate. Built-in hutch and armoire in master suite. On-demand hot water heater. Harmon built-in pellet stove with thermostat control. Yamaha brand in-ceiling speakers upstairs and down. Cabana room on the back deck with incredible views. Abundant wildlife."